I’ve got all this old stuff at home. Great stuff! 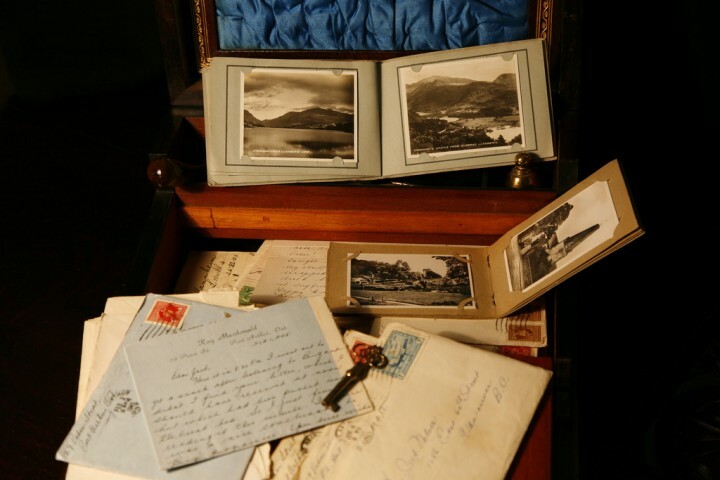 Like old letters, small writing boxes and old photos, not so much found as rescued from charity shops, garage sales and, sometimes, rubbish bins and the back seat of scrap yard cars. Not only does it make me wonder who could have thrown these things away, but more importantly, who were those people in the photographs? Who wrote those letters? Where are they now? I’ve been composing Vanitas for a few years now. Vanitas…emptiness, meaninglessness of earthly life? Maybe that’s the literal translation, but for me they represent memories. And after, memories are all we have left. I agree with Art History Professor Geoffrey Batchen, from The University of Victoria, photographs are a reminder of our mortality and I would be tempted to run back inside my burning house to rescue the shoe box full of them. I’m happy to have had my image chosen to represent this article in Photography News.